I think the Perl stand on FOSDEM was quite successful. We managed to talk to many people and we got quite a lot of positive reactions. Both to Perl and to the fact that we had a stand. Several people said that it is good to know Perl is still around. 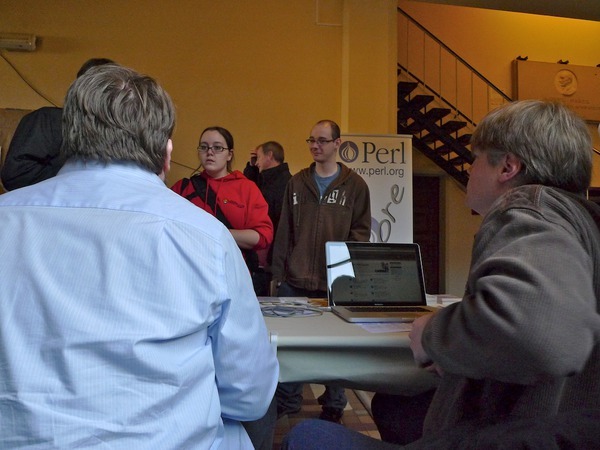 In the past few days reports of the people who were at the Perl stand on FOSDEM started to flow in on the mailing list of the Perl events group. I won't repeat everything here, I am sure if you are interested in the subject you can go and read in the archive or you are already subscribed to the list. A couple of points though, I am sure I'll have to write more about it. We had a stand next to several other projects including PostgreSQL. Several Perl Mongers, both local and from some other countries were helping in the preparations and then in manning the stand. 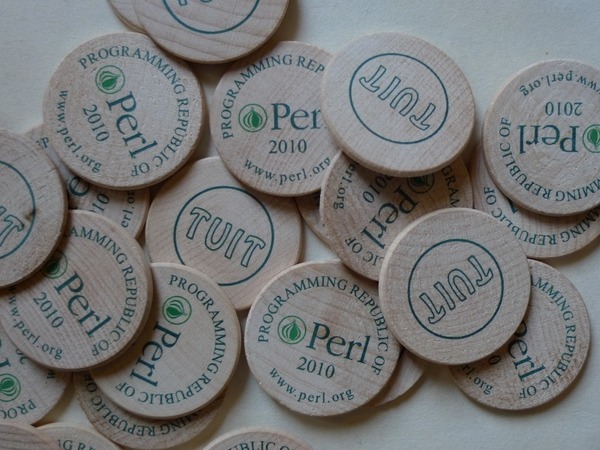 (see Showing Perl on non-Perl conferences, getting money from TPF for swag). 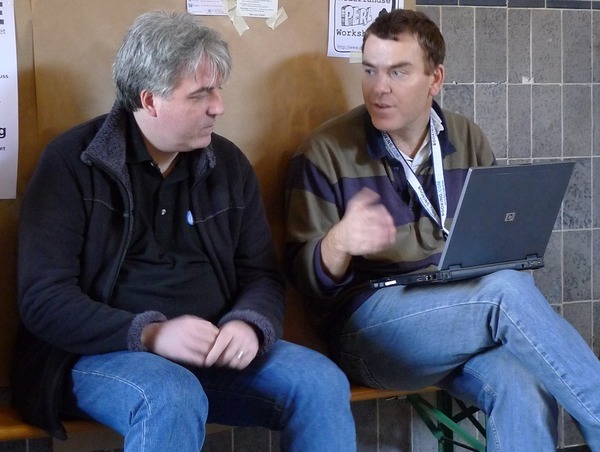 Perl at fosdem on Twitter has several comments and a few pictures of the event. We had a postcard with future Perl events on one side and several projects listed on the other side. We had lots of round tuits. Many people came and looked at the stand trying to understand what are these. And I was also there talking to Dave Cross.